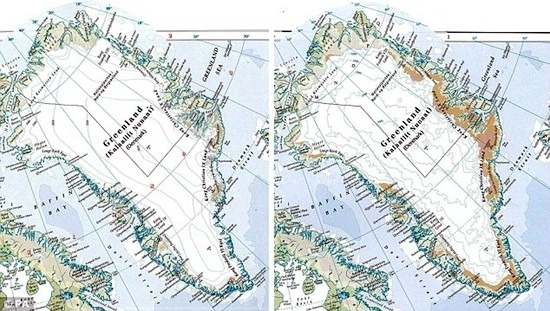 The Times Atlas still stands by its map showing Greenland ice cover in 1999 (left) and 2011 (right). 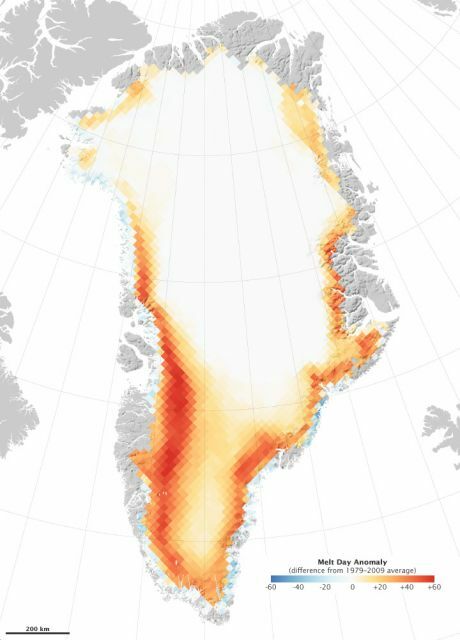 Credit: The Times Comprehensive Atlas of the World.I posted here last week on the latest edition of the Times Comprehensive Atlas of the World and their accompanying statement claiming a 15 percent reduction in ice over in Greenland in the past 12 years. Almost immediately, glaciologists and climatologists challenged the data. HarperCollins stood by their work, saying it was based on the findings of the National Snow and Ice Data Center (NSIDC). For the launch of the latest edition of the atlas… we issued a press release which unfortunately has been misleading with regard to the Greenland statistics. We came to these statistics by comparing the extent of the ice cap between the 10th and 13th editions (1999 vs 2011) of the atlas. The conclusion that was drawn from this, that 15% of Greenland’s once permanent ice cover has had to be erased, was highlighted in the press release not in the Atlas itself. This was done without consulting the scientific community and was incorrect. We apologize for this and will seek the advice of scientists on any future public statements. We stand by the accuracy of the maps in this and all other editions of The Times Atlas. Poul Christoffersen, glaciologist at the Scott Polar Research Institute, said he and fellow researchers had examined the atlas and found that “a sizeable portion of the area mapped as ice-free in the Atlas is clearly still ice-covered”. A better image for the Times Atlas might have been this NASA Earth Observatory map (below) showing the number of days in Greenland in 2010 that temperatures rose high enough for ice to melt, compared to the average melt-days in the period between 1979 and 2009. Number of melt days per year in 2010 compared to average of 1979-2009. Credit: NASA Earth Observatory image by Robert Simmon, based on data from Marco Tedesco, City College of New York.By the end of the 2010, large swathes of southern Greenland had set a new record—with melting that lasted 50 days longer than average. As for the 13th edition of the Times Atlas, get ’em while they last, collectors. Someday this flawed atlas will be one helluva a prize.